It’s a beautiful pearl necklace! 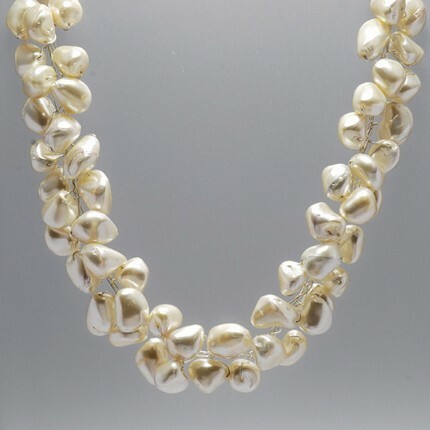 Large chunky white freshwater pearls on fine and sterling silver make a real impact and fashion statement. Perfect as a wedding necklace, or to wear to work or a special occasion. Certainly not the same old pearl necklace! We also make a few different styles of coordinating earrings.